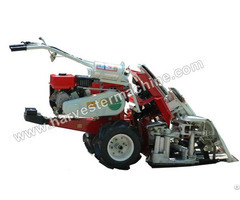 4G-120S harvester or swather is a walk type self-propelled mini harvester with 7hp diesel engine or gasoline engine. 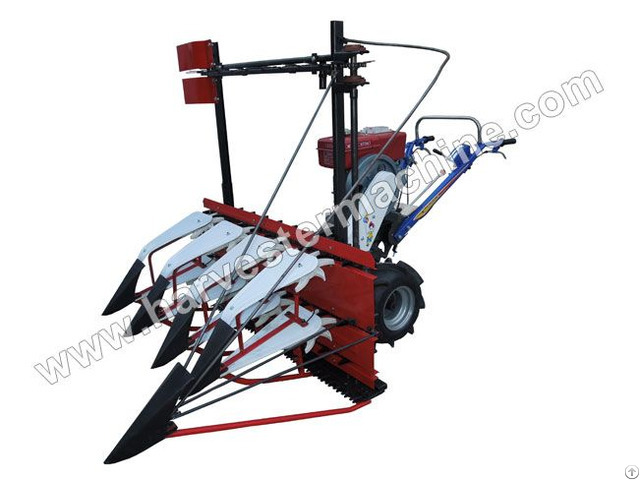 We could also attach the cutter head to the tractor (25hp or more). 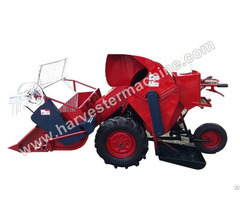 This harvester is used to reap sesame, reed and alfafa by cutting and laying down the straw onto the filed for drying in the sun, trim in rows. 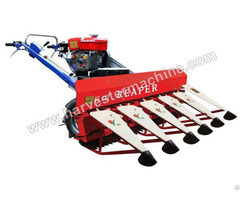 It’s also suitable for rice, wheat, barley, highland barley, soybean that of 0.5-1.2 meters high and 1.2 meters width. As it has a small volume and light weight, so it is suitable for the area with inconvenient traffic.